Donald Trump's victory in the US presidential election in November 2016 influenced on the price of Bitcoin, the immediate market reaction pushed the rate upward, had a greater-than-4% rise in value. Experts state that this was one of those cases where Bitcoin confirmed its status as a hedging tool during uncertain times. The victory of Trump is often associated with the beginning of troubled times on the world political stage and with it - on the financial markets. Saxo Bank referred the Trump Factor in its recent forecast for 2017, assuming that with the beginning of his reign, we can expect new growth of the value of Bitcoin up to $ 2,000. In this material we want closer look at the inner circle of this eccentric billionaire, because this will largely determine Washington's policy in the next four years. Of course, it can also affect the market value of Bitcoin, because there are some people who have a direct bearing on the cryptocurrency world and blockchain technology. Mick Mulvaney is a former participant of the US House of Representatives. Trump has offered him to manage the Office of Management and Budget - this agency is responsible for the forming of the annual federal budget for the Congress. "He has an exceptional talent, especially in the field of numbers and budgets," - Trump described Mulvaney in December last year. He openly supports cryptocurrencies. In September 2016 co-founded Blockchain faction. Its efforts intended to promote laws and regulations designed to develop cryptocurrencies and blockchain applications. Among his business partners are Jared Polis and Jerry Brito, who heads CoinCenter - a non-profit organization, which is also known for its active efforts to uphold the interests of the cryptocurrency industry. 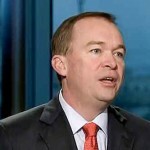 Mick Mulvaney has become famous for his sharp criticism of Federal Reserve Chair Janet Yellen. In 2015, in Congress, he asked Yellen to clarify her position upon cryptocurrencies. On this question, the Chair of the Fed said that her agency could not influence on Bitcoin. After a while, Mulvaney accused the Fed of "the actual devaluation of the dollar" and "stop economic growth" in the country. In the same speech, he talked a lot about Bitcoin, calling it as alternative money that could not be manipulated by any governments. Another supporter of digital coins and blockchain. 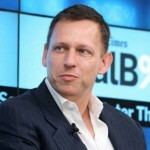 Peter Thiel with Elon Musk are founders of PayPal. Thiel has become the only major businessman from Silicon Valley, who openly supported Trump during his election campaign, donated more than $ 1 million. "PayPal wanted to create a new currency. But we didn't do it - we created another payment system. I think Bitcoin succeeded much more as the new currency, as the payment system it is still behind. It is difficult to apply it. I think this is the biggest challenge for Bitcoin ". Also, Peter Thiel is a member of Facebook‘s board and CEO of the Founders Fund, which in May 2013 led the investment round of BitPay’s bitcoin payment processing. Besides, there is 21 inc. in the investment portfolio of the Founders Fund. He is 21 inc.CEO, a Bitcoin-fan from Silicon Valley. Probably he could be director of the Food and Drug Administration (FDA). Last week Trump met with Sreenivasan and another candidate Jim O'Neill. Besides his position at 21 inc., he teaches the world's most popular open online course about bitcoin. 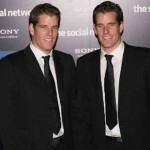 And he is a board member of Coin Center, a partner of venture fund Andreessen Horowitz. By the way, the latest rumors surrounding Srinivasan resulted in his rather curious reaction: he completely cleared his blog and twitter account (he has more than 48 thousand subscribers). So, at the moment you can see only one message in his account on Twitter, he invokes to stop to argue and start to build the future. What will be the future for cryptocurrencies and the underlying technology with Donald Trump at the White House - now nobody could answer. But if his command consists of at least those three figures, the future for digital coins could be very interesting. Christopher Giancarlo will head the U.S. Commodity Futures Trading Commission (CFTC). He does not directly defend the interests of the Bitcoin industry, but at least he comments it in a positive manner. Many consider that he is a favourite of Trump. In his recent speech, he noted that distributed registry technology was very important for the development of business and the US government, he told about plans to establish a "safe zone" for experimenting with new financial technologies. © 2018 bit.news | queries 244, for 0.665 sec.